This 10-inch bowl is an excellent choice for any hostess. This bowl is NOT dishwasher safe. Hand washing with mild detergent is recommended. Monogram is included. Servers sold separately. This item measures 10" diameter and 5" high. 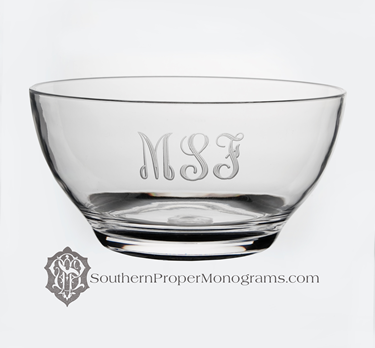 Please note: This bowl can be monogrammed with a single initial or three initials straight across. 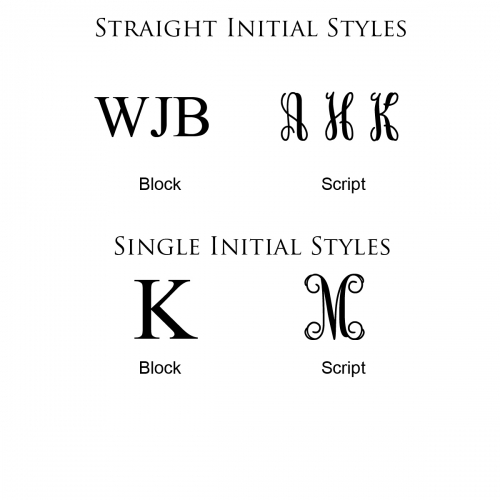 Your monogram will be in First, middle and last order. A modern monogram, combining the initials of a couple is not available on this item.